This Astrolabe is a Model with Stereographic Projection of the Sun, Moon, Planets, Stars, Constellations, Andromeda Galaxy and the Milky Way showing their instant Altitude and Orientation, Azimuth. Civil Local Time and True Local Time (Sun Azimuth) are shown. Sun Altitude determines Day, Dawn, Dusk and Night. 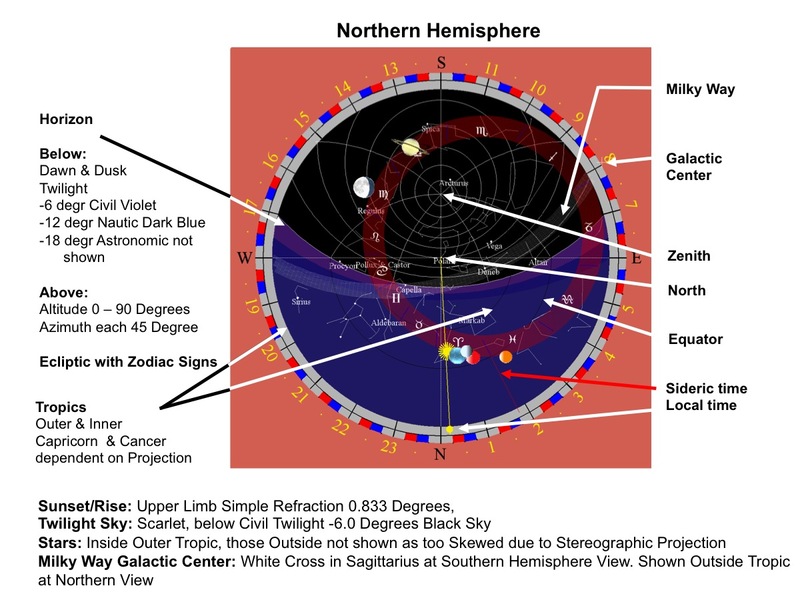 For the Northern Hemispere the Projection is from the Celestial South pole.The Plane of the Planet System, the Ecliptic with Sidereal time is projected as revolving between the Tropics.